1Click Create and click Folder from the menu that appears. 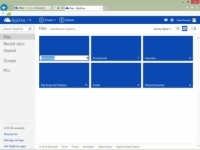 SkyDrive displays a new folder tile (or folder link). 2Type a descriptive name into the Name text box and press Enter. This creates a folder with the default security settings. 3Right-click the folder you’ve just created. 4Choose how to share the contents of your new folder. You can also choose to make the contents of this folder completely public — click Get a Link and click the Make Public button, and anyone can search for and view the contents of this folder. 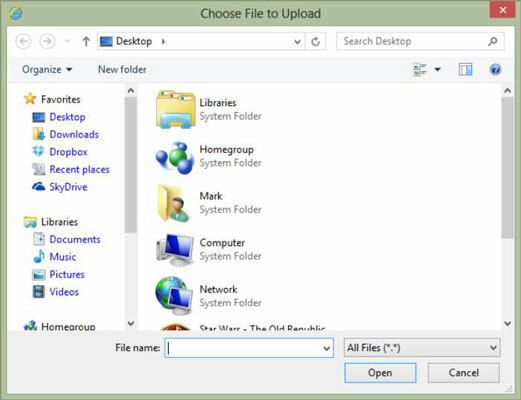 5If you’d like to immediately add files to your new folder, click the Upload button on the toolbar and select the desired files using the Choose File to Upload dialog box. 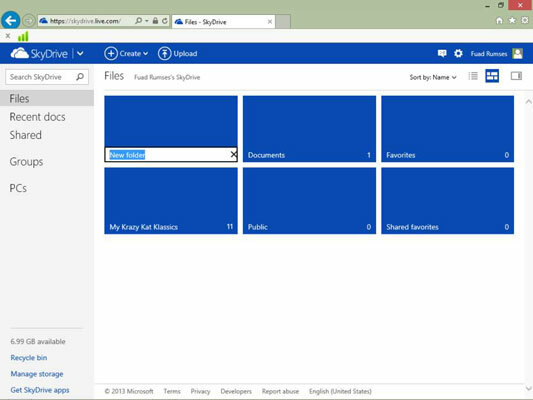 You can also drag and drop files from a File Explorer window into the square. The maximum size for each file upload using a web browser is 300MB, but you can upload files of up to 2GB in size using the SkyDrive application. Uploading may take some time, depending on the speed of your Internet connection, so do not close or navigate away from the Upload screen until the completion message appears. 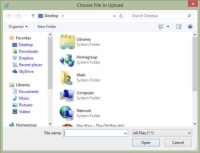 To add files to an existing folder, click the folder from the main SkyDrive screen to open it and then click the Upload button. SkyDrive returns you to the Choose File to Upload dialog, ready for you to select files.